A writing project I’ve been working on for over a year finished up this week. Someone needs to write this down! Last fall, I started to write some of the web and print content for WCR and that eventually spilled over into getting some of the first generation family ranch stories down on paper. This spring, we decided we had enough material for a book and set a goal to finish the project by September 29th, 2014 for their Legacy Sale. 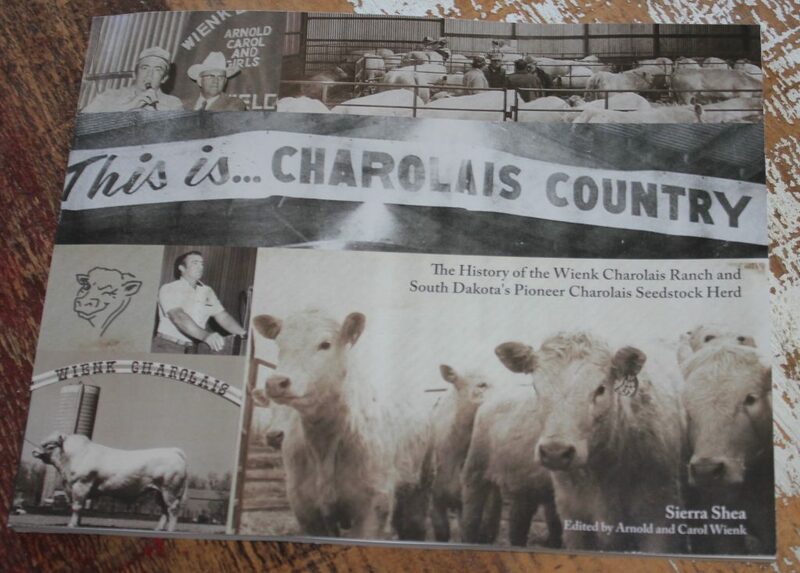 It was the perfect time to publish this memoir with the early ranching history of Charolais cattle in Kingsbury County and South Dakota. As a writer, it takes time to “find your niche”. 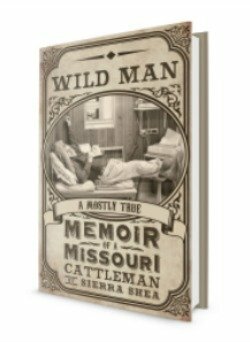 After this book & the Wild Man book, I think I’ve finally started to find mine. Family legacy and history are both really important to me. I love old photos. I loved scanning the pictures out of their old family scrapbooks. I enjoyed preserving these precious family stories for great-grandbabies that aren’t even born yet. Here’s the official title, subtitle and back cover introduction to the book. 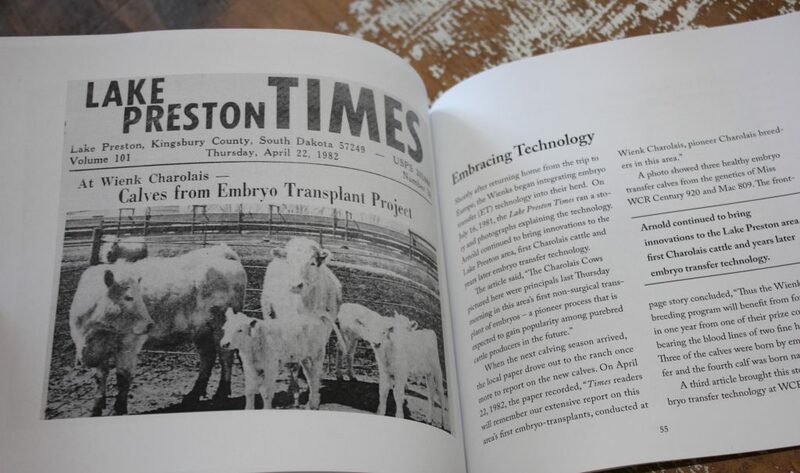 In 1958, Arnold Wienk read an article in Farm Journal magazine about crossbreeding with Charolais cattle. At the time, the new French breed was virtually unknown in South Dakota. By the end of the year, Arnold had married a local girl, Carol Casper, and helped introduce Charolais cattle to Kingsbury County, South Dakota. The newlyweds spent the rest of their marriage raising five daughters and Charolais cattle. They developed a nationally and internationally recognized Charolais herd – producing and promoting well-known sires such as Mac 809, Duke 261, and Tradition 066. The Wienks’ daughter and son-in-law, Jeff and Jody Eschenbaum, became partners at Wienk Charolais Ranch (WCR) in 1985. Grandson and granddaughter-in-law, Sterling and Courtney Eschenbaum, became third generation partners at WCR in 2010. Always hard at work on the ranch, promoting the breed, or keeping up with their 15 grandchildren and 12 great-grandchildren, Arnold and Carol spent little time discussing their past – until now. Enjoy these untold stories of the early years at WCR, from efforts to secure loans to struggling for a Charolais Show to be included at the South Dakota State Fair. These family ranching stories will inspire all cattlemen and cattlewomen who hope to make a contribution to their breed and the beef industry. 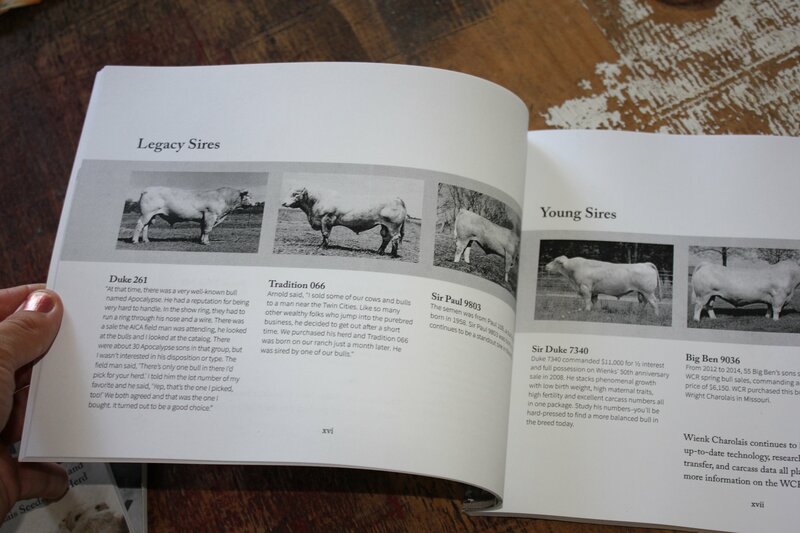 If you’re interested in purchasing a copy, it is available through the Wienk Charolais online store.